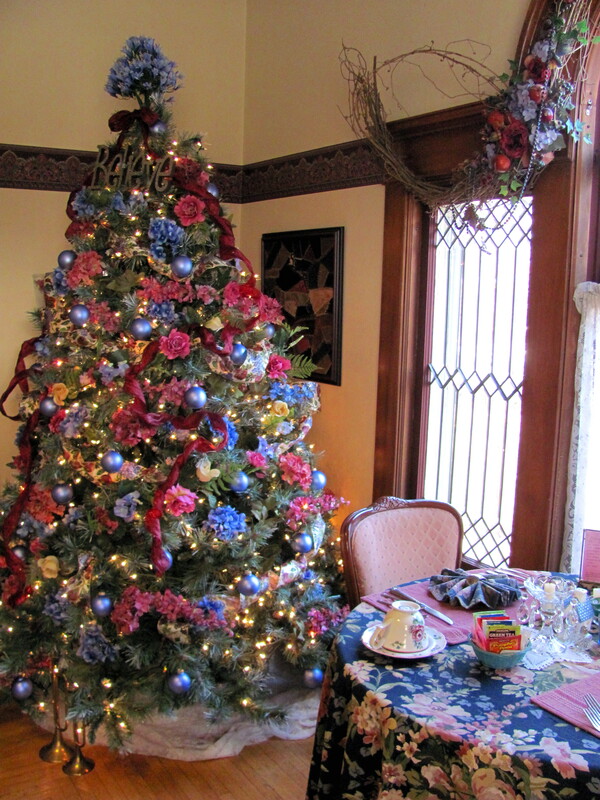 Twenty-four years ago, Sherrie rescued a dilapidated Victorian house in northern Iowa from the bulldozer’s grips and turned it into a bed and breakfast and tea house, the Blue Belle Inn. After 12 years of writing romance novels, Sherrie met and married her real-life hero, Mark Decker, a pastor. They now live in 2 different houses, 85 miles apart, and Sherrie writes on the run whenever she has a spare minute. Sherrie enjoys playing the piano, photography, traveling, and going on weekly adventures with her nieces and nephew. 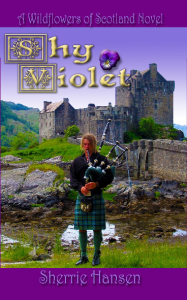 “Shy Violet” is Sherrie’s eighth book to be published by Indigo Sea Press, a mid-sized, independent press out of North Carolina. 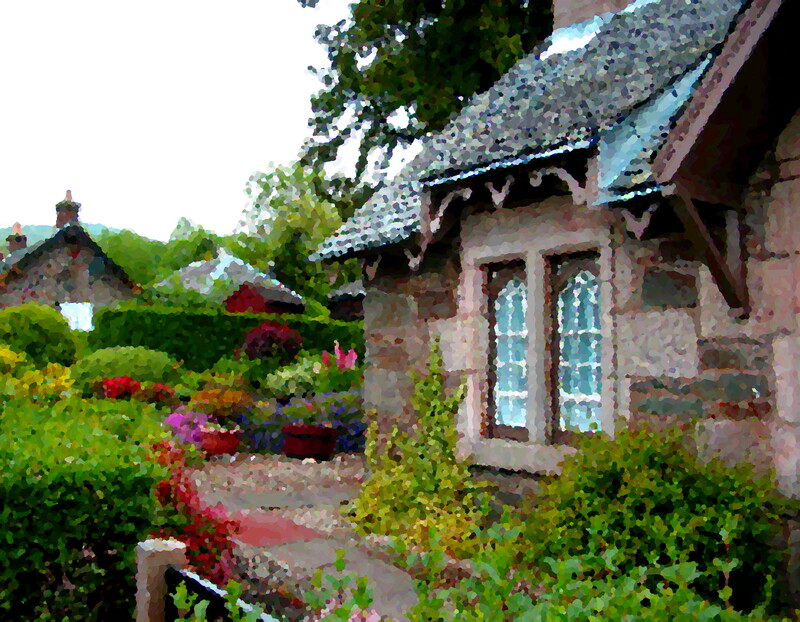 “Sweet William”, the last of her Wildflowers of Scotland novels, will be out early this summer. I can’t say that there is one well from which I draw when it comes to ideas. There are many places inspiration can come from; most of them have some relationship with one another but none is exclusive. Here are a few of my best sources. Read. The more you read, the more you learn, and the more you come up with questions that send you onto something else to read. Research. The more I read, and research, the more I learn. The more I learn, the more I want to know. So many times in my research I find a nugget of truth to build a story upon. I love to read old newspaper articles. 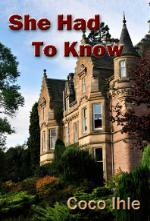 Not only do they provide ideas, but also a wealth of information about an era or place. Play the ‘What If’ game. This was a game someone told me about years ago when I was beginning to write. You begin with an idea. I will use one that I recently read about. A family has been living in an older house, built somewhere around 1900. One day one person got curious about the grate in the hall by the entrance. It looked like it would be a vent to the HVAC, however they did not have central air. Removing the grate revealed a deep, dark place below the floor. One of the family members went down there and discovered an abandoned sanctuary with a large cross on the floor. Now ~ here is where the ‘What If’ game gets fun. What if there was a hidden treasure down there? What if there was a catacomb of bones down there, or tunnels that lead to more secret chambers? What if they entered an alternate reality, universe or era? What if they discovered a body? The ‘What If’ game takes your imagination for a long journey that is rarely dull. It also can provide for a number of good story lines. Dream. Sometimes when I am working through a story I will set it into my mind to look for a solution as I sleep and dream. Often dreams will provide answers. More often a good nights rest will allow the ideas to come through as if they had been there all along. Rarely do nightmares provide a story line, but it has happened. Have No Fear of looking like a geek. Arm yourself with paper, and a writing implement that works, so you can scribble down the stray thought that had been elusive and comes when you are thinking or doing something other than writing. Sometimes a conversation will bring that key phrase or idea sought after for a character, situation or event. Scribble down the idea, but be sure you can read your writing later on! There are many more I could list, but these are some of the best ones. Feel free to employ any of these ideas and methods. Happy Writing! 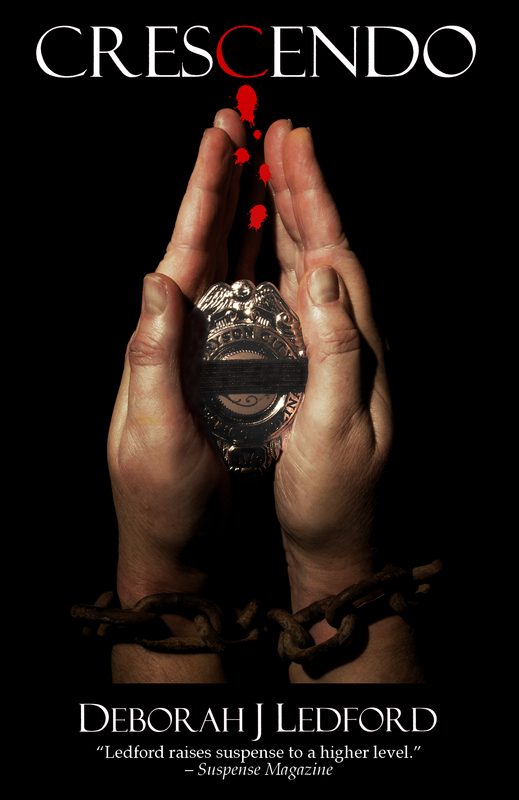 Author of Clara’s Wish and soon to be released ~ Lethal Boundaries. My inspirational muse is very fickle lately. While she is dropping story plots left and right, the actual nitty-gritty business of writing these tales keeps skittering away from me. Mean muse. Of course, some of the blame can be placed on me. I live a busy life for a starving artist. 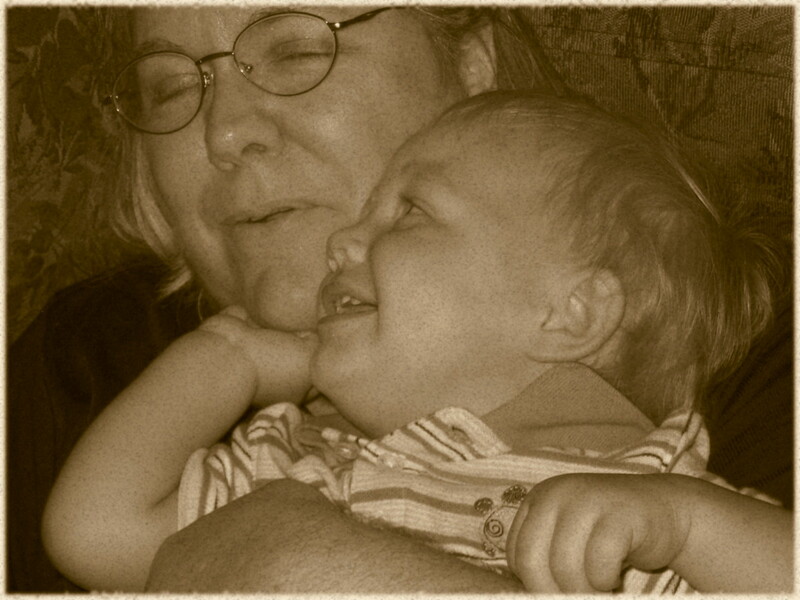 Keeping up a household and helping care for Baby Boy makes life at my home interesting and always hopping. Add to this catering to several mildly insane pets and being on call for family. I’m never bored. 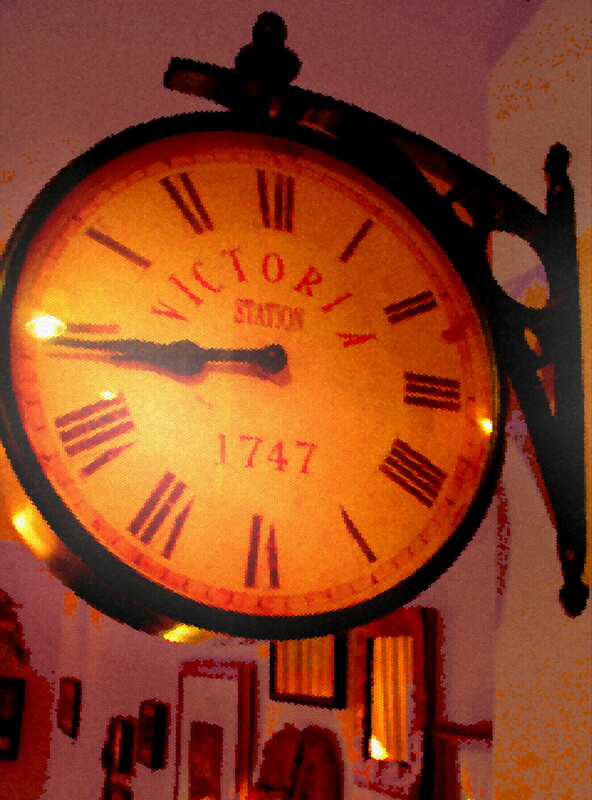 Sometimes I wonder if I should write a story based on the eventful hours of my days. Baby Boy fills a lot of those hours. A story about his life so far would be funny, sad, hopeful and soaked in Grandma’s love. Houdini Cat above is an interesting character. He hates the other animals. He tolerates me and my fellow lesser beings to a degree. He tries to escape but because his size slows him down, he’s easily caught. But, he never gives up. I told a dear friend recently that I felt my writing was dying. I realize now I was wrong. The size of my responsibilities may slow me down and force my writing to take a backseat, but, like my fat white cat, I’ll never give up. I’ll keep floating in my sea of dreams. Okay, so keeping with the “Importance of” theme, let’s discuss locations. How important are they to you as a reader? How about as a writer? For me, the main location for my Steven Hawk/Inola Walela has definitely become a main character. I grew up spending my summers in a small town nestled in the Great Smoky Mountains of western North Carolina. This is a place that remains close to my heart and senses. There are times when I awake in the middle of the night, replaying events long passed, the scent of “green” still nestled in my brain. 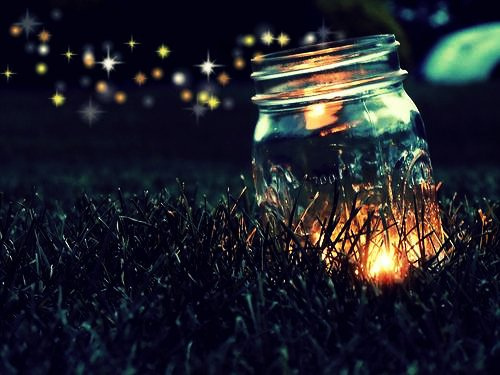 The summertime nights were humid during those cherished weeks every year, but that never bothered me as I chased fireflies, capturing them in the Mason jar my grandmother would provide from her stash under the sink. The drives with my grandfather are gems I unfortunately only remember snippets of—sitting in the back seat of his huge Buick as he backed up the long drive to the two-lane, twisting highway that would lead us to the gas station/country store where he would buy me a paper sack full of Atomic FireBall jawbreakers. Even decades ago Kudzu vines hugged the trees and power poles, massive hulking monsters, disturbing yet fascinating. The fog that would rarely completely lift hovered over the expanse and deep in the valleys when we reached a rise high enough to look down at the most enchanting, wondrous Great Smokies I will never release from my memories. I go back from time to time to the real city of Bryson City, where Inola Walela, Steven Hawk and his family live in my books. My imaginary characters visit locations I still remember; essentially playing out the life I could only dream of. I suppose that’s one of the best parts about being a novelist…the “what if” and “why not” of every story one can create. 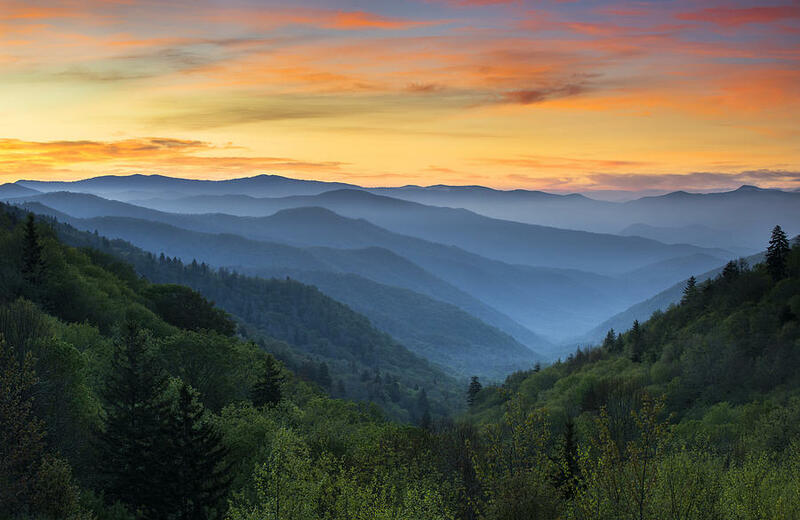 Photograph Credits: Smoky Mountains Sunrise ©Dave Allen. 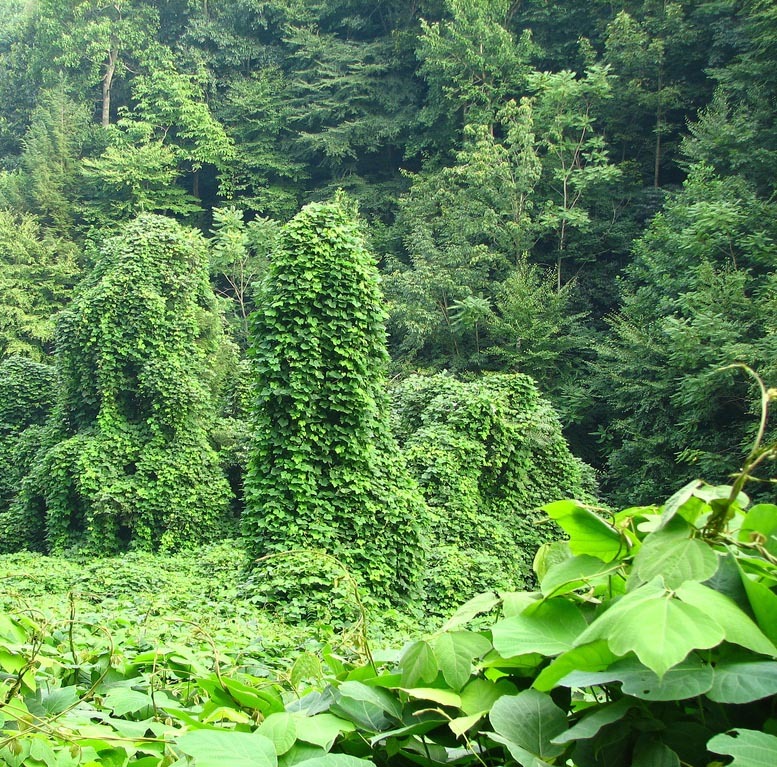 Kudzu ©Felicity Green. In a few hours, I’ll be speaking at the Artworks Festival in Austin, MN, my hometown, also know as Spam Town USA (the kind in a can that’s good to eat). Maybe it’s because Austin was the stage for most of my childhood dreams and wishes that I feel a little sentimental about the difference between how I hoped my life would turn out, and how it has. It was under the clear, blue skies of Austin that I dreamed of meeting my own tall, dark, mysterious Prince Charming, and living happily ever after in a house filled with babies and love, surrounded by a white picket fence and window boxes filled with pink geraniums. Given the era I grew up in, the happy young wife and mother I envisioned in my wishes probably looked like Gidget, Barbie, Cinderella, and Twiggy all rolled into one. My, how the world has changed in a few short decades. And my, how different my life has turned out to be than what I envisioned all those years ago. Whether I was wishing upon a star or praying for the perfect man to come into my life and make my dreams come true, my life has been nothing like the way I imagined it would be. The things I’ve done, the places I’ve been, the things I’ve accomplished would have been incomprehensible to me back then. In some ways, I’ve far exceeded my hopes and dreams. I also have a handful of regrets, and a small part of me still mourns for the way things might have been. One of the other Austin artists appearing at the festival is in a wheelchair. I’m told he was paralyzed in a football game in the late 80’s. He is exceptionally talented and has accomplished much in his life. I’m sure when he was growing up, he didn’t envision being injured. I wonder, would he have excelled at art in the way he has if that moment hadn’t redefined his life and shaped his perspective? Things happen – often differently than we wish or hope – I believe God uses those things to take us from being rough pieces of coal to shining diamonds, to bring out the best in us. The main character in my recently released, LOVE NOTES, is a woman named Hope Anderson whose youthful hopes and dreams died with her husband in an auto accident. Hope’s “Plan B” is to finish renovating and reopen Rainbow Lake Lodge, to see it bubbling with families, children, and laughter again – she believes, the perfect way to honor her late husband’s legacy. Due to an unfortunate set of circumstances, that dream is also about to die. Sometimes it’s very hard to see the silver lining, to find the rainbow after the storm. I did not live happily ever after. It took a few years for God to “work all things together for good” – I call it being blessed with “God’s Perfect Plan B”. I never did have children, but God gave me an extended family who loves me, brothers and sisters who are kind enough to share their children with me, nieces and nephews who love me and are a wonderful part of my life. He gave me a bed and breakfast and a tea house, music to lift my soul, friends and activities that I enjoy, a new chance at romance, and many books to write. Sherrie Hansen Decker lives in a 116 year old Victorian house in northern Iowa who, just like her, got a second chance when she rescued it from the bulldozers grips and turned it into a bed and breakfast and tea house, the Blue Belle Inn. Sherrie has enjoyed learning about hope and love, and the difference a little faith makes while telling the story of Hope Anderson and Tommy Love in “Love Notes”. “Love Notes” is Sherrie’s fifth book to be published by Second Wind Publishing (her debut Christian Inspirational novel). Sherrie attended Wheaton College, Wheaton, IL and University of Maryland, European Division, in Augsburg, Germany. Her husband, Rev. Mark Decker, is a pastor and Sherrie’s real life hero. She enjoys playing the piano with their worship team, needlepointing, renovating and decorating historic houses, traveling, and going on weekly adventures with her nieces and nephews. Dreams – I love them and I have lots of them, but every once in a while there is a dream that makes you stop and wonder. I had just finished editing a 107,500 word novel. Three weeks of 8 to 12 hour days of editing not to mention 2 1/2 years of writing and editing before I even submitted it to a publisher. As you can imagine, I was tired, but very pleased. I had done my part. I was finished with it for now. I went to bed that night with a sense of accomplishment. And then I had the dream. I had this big, white plastic bag. 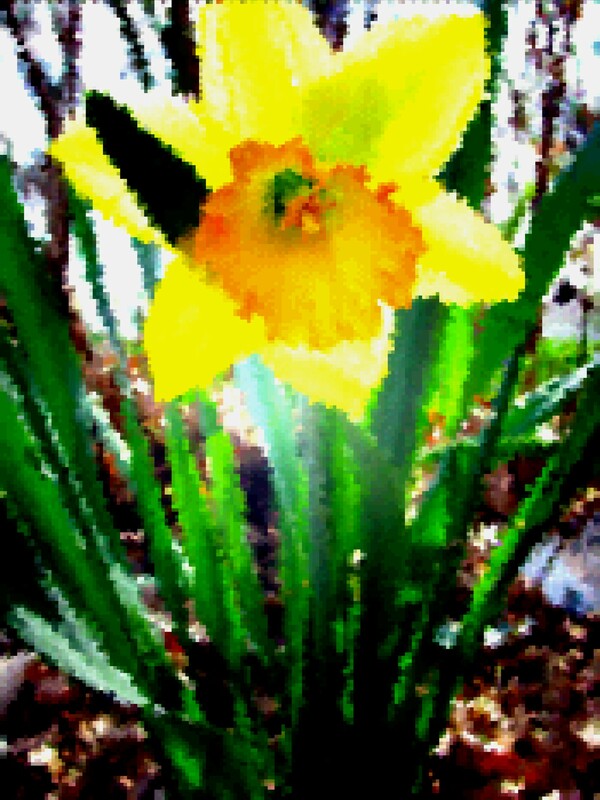 I wasn’t the floppy kind that the wind can blow around but it kept its open shape. It was about 2 1/2 feet wide and six feet long. I was going around collecting all the deletions I had made in the manuscripts and putting them in this bag. It wasn’t an unpleasant chore, but I had to catch every deleted sentence, paragraph, comma, period, page etc. Some of them were floating in the air, but most of them were in little piles on the ground. Then I woke up and when I went to the computer my manuscript was missing and in its place was all the deletions that I had just been collecting. I was devastated. It was terrible. I was frantic. And then I woke up for real. It was just a dream. I lay in bed rolling back and forth laughing. But you know what? After I stopped laughing because I was so happy it was just a dream, I went and checked my computer before I even turned the flame on under he teakettle. There was my manuscript, just the way I left it. Now, I am not of the opinion that dreams can predict the future, but if my bag of deletions had replaced my manuscript, you can bet your sweat boots, and anything else you have that’s sweet, I would have changed my opinion. May all your dreams be pleasant and if a bad one sneaks in, it is a liar. Don’t believe it. Doggedly pursuing our dreams gives us a sense that they may come to fruition, that we may actually accomplish something in our pursuit. The more passion and determination we possess, the easier it is to move forward to our goals, and having a support system helps us emotionally and practically. Years ago when I first started writing, I shared with friends my goal of writing a book. Some encouraged me to go for it, some said it would be too difficult, an impossible accomplishment. I chose to go for it, despite what pitfalls I might encounter. One friend in particular shared with me a poem that has been a mainstay in my quest. I don’t know the author, but I would thank him/her if I could. Here it is. I hope it will encourage you, as well. This time of year, we tend to reminisce about the past events in our lives. I’ve been thinking about the journey I’ve made to become a published author. As I look back, it hasn’t been short or easy, but it has been rewarding. Persistence through all the stumbling blocks, and even working through discouragement from time to time, has made my dream come true. My wish for you as this year comes to a close and a new one begins, is that you have a good support system, dogged determination and persistence to make your dreams come true. I think it’s worth it. I hope you do, too. I’d love to hear any secrets you may have in fulfilling your dreams. I’ve started paying more attention to the trivial things around me lately. My reasoning? I realized there is a potential storyline in all I see. It was an awe-inspiring moment when I began to look at events, even the tiniest ones, as stories. There’s the leathery old man leaning with fatigue against the check-out counter at the dollar store – a frightened shoe lying in the middle of the muddy dirt road – the cold house with a boarded window and a dozen cats lounging outside. All of these and more have a story screaming to be told. A year ago, I had a dream of an elephant floating in the sky. Now, I finally get it: like the expression “an elephant in the room,” my elephant meant I was seeing too many stories to ignore. My “sky” refers to the unlimited supply of writing material all around me, updating every day, every hour, and every minute. I look at a calendar from last year and see the dates I’ve marked. My 2010 is a complete story in itself. Some events are trivial and some are not. My chapters could be entitled, “January, February,” and so on. 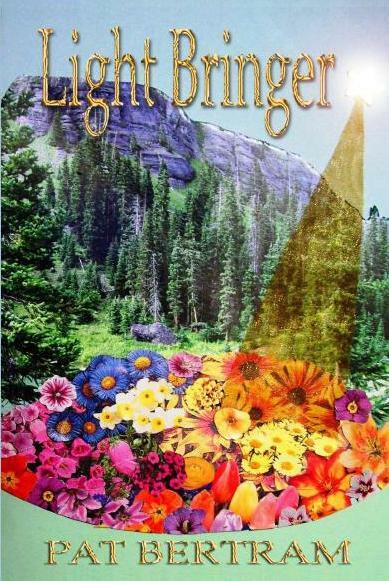 It is a diary of my life and the lives of loved ones in 2010. When I talked to a friend about my epiphany, he congratulated me on my “existential moment.” Although I wanted to agree with him in hopes of polishing up my tarnished new-age persona, the “moment” didn’t feel so much existential as it did experiential. Curiosity fuels these flames. During my many cross-country driving trips over the years, I’ve always been curious about the lives of the people in the houses I pass. What are their fears, dreams, realities? Are they content or simply existing? What are their stories? Experiences are stories, even those not of our own. That penny you see on the ground is a novel – the tales it could tell of the many hands it passed through. Think of this the next time you look at . . . anything. I started reading my third copy of Bill Strickland’s book today. It’s my third copy because I’ve given away my first two copies to people I thought would benefit from them. This is my fourth or fifth reading of the book. I don’t come back to it repeatedly because it’s extremely well written—in fact it’s ghosted (and as I’ve personally discovered, if as a ghost writer you write a book up to your own standards, it becomes much more your work than the work of the person to who it’s attributed . . . if you know what I mean). I keep coming back to Bill Strickland’s book because it reminds me to believe in myself. The book I’m talking about is Make the Impossible Possible (published by Doubleday). It’s the autobiographical account of Bill Strickland’s incredible life from sullen Pittsburgh teenager, to ceramic instructor, to CEO of Manchester-Bidwell (a prep school and training facility for disadvantaged people), to winner of the MacArthur Genius Grant, to internationally known entrepreneur. Along the way he became an award winning artist, a trusted community leader, a commercial airline pilot, an expert orchid gardener, a producer of Grammy winning jazz music and founder of multiple training institutes. It makes me tired just thinking he did all those things. Still, even as a fellow who has three professions at the moment, I value his book not because it justifies my overfunctioning. His book is important to me because of one of the great principles he espouses: if you are not achieving your dreams, perhaps it’s because you’re dreaming too small. How many times have people told you that you bit off more than you could chew or that you were neglecting other people and responsibilities? And how often was it the very people who wanted more of your time, attention and talent who told you that? Our selfishness is seldom blessed by the people who have personal expectations of us, is it? Yet it is precisely our willingness to be selfish—to go off alone with our notebooks or word processors and let our imaginations take wing as we dream and write—that makes us each uniquely who we are. Another of Strickland’s marvelous principles has to do with “flow.” Flow is a concept from jazz music, where one musician takes a beat and begins to play it. The other musicians follow in, not really knowing where the music will take them, but when they get it right, they know it. This is a different way of describing what the divine Julia Cameron calls “synchronicity” and some spiritual people call “serendipity.” What do you think about the idea that there is a river of creativity out there waiting for you and when you find your way into that river and get carried away by the flow, you become your truest self?